Will the Easyjet council take off? Or will voters flock to the John Lewis model? This year two London authorities launched what they called "radical" approaches to public services. 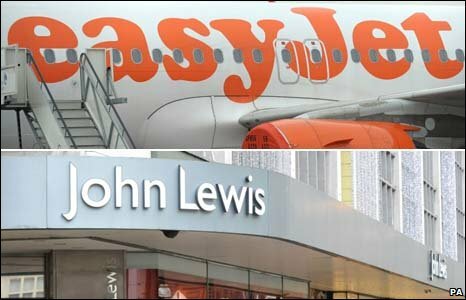 Barnet Council, Conservative, says it is inspired by budget airlines - while Labour-run Lambeth's model has seen it dubbed the 'John Lewis council'. We asked both council leaders to explain their ideas - and an expert in London politics if they were merely gimmicks. Barnet Council was dubbed the 'Easyjet Council' after announcing plans to allow people to pay extra for extra services. Planning applications could be processed faster for a price - just as Easyjet travellers can pay for priority boarding. Leader of the Council Lynne Hillan said: "The model is along the lines of the budget airlines. "There is going to be a 20% cut in government funding - we have to make that up, so we looked at the services we provide to see if there are things we could change." Ms Hillan continued: "If you want a passport to arrive faster you pay more - and no-one objects to the extra cost of a first class stamp. "People should have a similar choice with public services. "So if a resident said 'I don't need to fill a large bin, I will have a smaller bin and recycle more', we could give them a council tax discount." 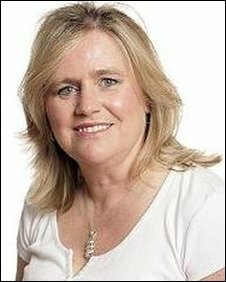 Councillor Hillan explained: "We are saying you can have more services if you want - but you have to pay extra. "At the moment the people in Barnet who pay the most tax actually use the least services. That's not fair." Describing the second part of her approach, Councillor Hillan said: "The idea is to look at backroom services and see if you can combine them with other organisations. "We could jointly run human resources, finance and property with other bodies to save money. "We are in negotiations with Middlesex University, the NHS and the police on this." Ms Hillan, who insisted front-line services would not be reduced, said of Lambeth's approach: "I am absolutely delighted Lambeth is copying Barnet - they have tried to rebrand their plans into something different but there are a lot of commonalities." Professor Tony Travers, director of the London School of Economics' London group, said: "It is difficult to see where this model can be run in any great detail. They give the example that people who want to make a planning application can pay to have it done more quickly. "But if you try to apply that model to other council services it gets you into difficulties. "How can you say you will sweep more carefully outside someone's house if they pay extra?" Barnet has 36 Tory councillors, 20 Labour councillors and six Liberal Democrats. Lambeth Council became known as the "John Lewis" council after announcing plans to become a "co-operative". All John Lewis staff are partners in the business and share a bonus from yearly profits. Under Lambeth's plans, residents will take part in regeneration projects - and could receive a council tax rebate for being part of voluntary organisations. At John Lewis it is intended that partners work harder because they want to maximise the firm's profit, and therefore their own bonus. Lambeth hope that their scheme could similarly result in efficiency savings for the council. 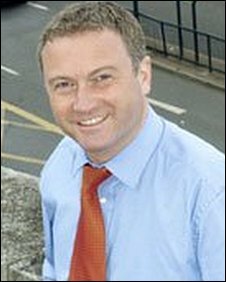 Steve Reed, Leader of Lambeth Council, said: "There are going to be reductions in funding from 2011. We are looking at different ways of coping with that. "The idea is that some things can be managed by the community. "For example, imagine you have a piece of waste ground which you want to tidy up. Instead of the council doing it, you give the community the tools and neighbours do it themselves." Councillor Reed continued: "Instead of costing several thousands pounds, doing it that way will cost £300. But it also has other benefits. "The community have a sense of ownership of the finished space. And neighbours will be introduced to each other, increasing the strength of the community." But Councillor Reed denied there were similarities with the Barnet approach. He said: "There is a big difference. We are trying to protect services by involving the community - theirs is a two tier approach which will mean different services depending on how rich you are. "The Barnet model means sub-standard services for the majority while the rich get more." Professor Travers said: "I am not sure you can extend the model far without losing the ability to ensure public money is used in a way that councillors would approve of. "There are limits to how far you can hand things funded by public money to groups which the council has little control over. "I just don't think it can ever be as radical as the people proposing it would hope." He added: "Nationally the Conservatives have used the idea of the 'big society' and Lambeth's plan does seem virtually the same thing to me." Lambeth has 37 Labour councillors, 18 Lib Dems, seven Conservatives and one Green councillor.